The 2014/15 Bundesliga runners-up announced the news on Sunday, less than 24 hours after the Wolves saw off Stuttgarter Kickers to get the defence of their DFB Cup title off to a successful start. "I'm delighted that we are able to continue along the same path in the years to come," said Wolfsburg sporting director Klaus Allofs. 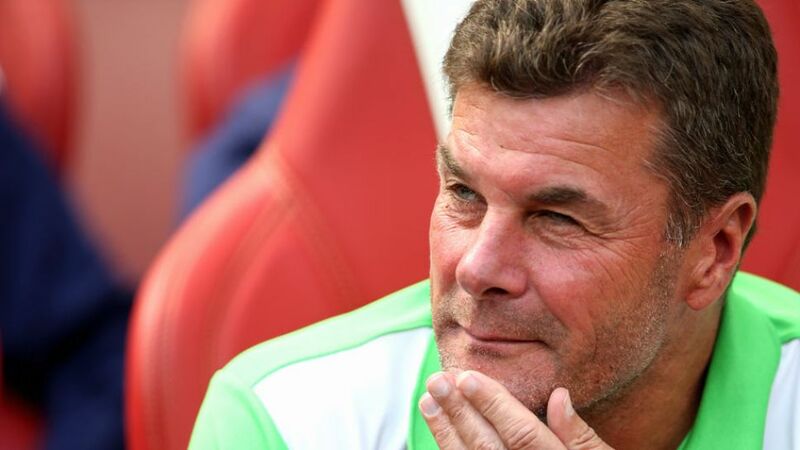 "Dieter Hecking with his footballing philosophy and his way of working are a perfect fit for Wolfsburg and we still have plenty of ambitions with him as our coach. The great performances of our team last season must now be carried forwards in order for us to be able to establish ourselves firmly as one of the top teams." Hecking arrived in Wolfsburg in December 2012 following a three-year spell in charge of 1. FC Nürnberg. After steering the club to 11th place at the end of 2012/13, he went on to finish fifth a year later and then second last term. "I've always stressed how I would like to remain with Wolfsburg beyond 2016 and how I feel the total faith from the management here in Wolfsburg, which I would like to express my thanks for," Hecking enthused. The 50-year-old tactician, who guided the Wolves to their maiden DFB Cup and pushed FC Bayern München – the team Wolfsburg beat to lift the Supercup last weekend – closer than any other side in 2014/15, was recently named Germany's Coach of the Season.